A householder who chased a drug-crazed burglar wearing only his boxer shorts has been commended for his public-spirited behaviour. Darren Stewart bravely ran after intruder Michael Bond as he cycled off - after Mr Stewart spotted him climbing out of the front window of his Leigh home. “He caught up with him about 60ft away and literally dragged him off his bike into some bushes,” said Ken Grant, prosecuting. Bond managed to get up and run off but fortunately a neighbour arrived at the scene and ran after him and brought him back and stayed with him while Mr Stewart, whose young son was in the house, nipped home to get some clothes on. The 40-year-old, who was on licence from a five-year jail term at the time as well as on police bail for five earlier offences, was jailed for a total of six years. Sentencing him Recorder of Liverpool Judge Clement Goldstone, described his record as “appalling”. Bond, of Church Street, Leigh, admitted burgling Mr Stewart’s Bold Street home. The other offences included breaking into the Co-op travel agency in Bradshawgate, Leigh, leaving a trail of blood which led to the store having to close all day with inconvenience to customers and loss of business. He also pleaded guilty to breaking into Integrated Supplies in Church Street, Leigh and handling and fraud involving later presenting two cheques stolen in the raid for £4,700 to his bank but which was not paid out, said Mr Grant. The stolen cheque book was later found hidden in a gap in Bond’s garden wall. When arrested for those offences on July 14 he was found to be in possession of amphetamine but was released on bail and went on to steal £50 worth of clothing from a parked car and to raid Mr Stewart’s home. 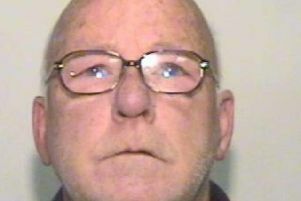 Cheryl Mottram, defending, said that Bond, who appeared via video link from Forest Bank prison, that he was realistic about the outcome of the hearing. “He has been addicted to amphetamine and heroin since the age of 16 and more recently diazepam and it is the cocktail of these substances which causes him to have little or no recollection of the offences before the court,” she said. He has been recalled to prison and while there has sought help and is on a detox programme, she added.